BAY COUNTY, Fla. - The Bay County Sheriff's Office and the State Attorney's Office, 14th Judicial Circuit announced Friday November 30th, the arrests of six individuals by the CUFF task force. Citizen's United Fighting Fraud, or CUFF, is comprised of officers from The Bay County Sheriff's Office, the State Attorney's Office, 14th Judicial Circuit, The Florida Department of Law Enforcement, the Department of Business and Professional Regulations, the Panama City Police Department, and the Lynn Haven Police Department. CUFF task force members had received information that certain individuals were misrepresenting themselves as licensed contractors in Bay County. Undercover operations were set up and six were arrested on November 27, 2018, and November 28, 2018. Task force members, posing as citizens with Hurricane Michael damage to their roof, contacted the various businesses and asked for estimates to repair damage. The individuals came to the house and gave an estimate on repairs after looking at the residences. Some, when asked, claimed to be licensed, but, upon investigation, were not. Others stated they were not licensed, but were working under another Florida company's license, also illegal. As estimates were completed and handed back to the undercover CUFF task force officer, additional officers drove up to the residence, identified themselves, and arrested the suspects. "When unlicensed workers attempt roofing work in Florida, they don't know Florida requirements and standards," Sheriff Tommy Ford said. "By leaving a substandard roof that will soon give the owner problems, unscrupulous workers victimize our residents yet again. We can't allow that." Chief Assistant State Attorney Larry Basford agreed and warned unlicensed contractors to either get the necessary license or they will be arrested and aggressively prosecuted. 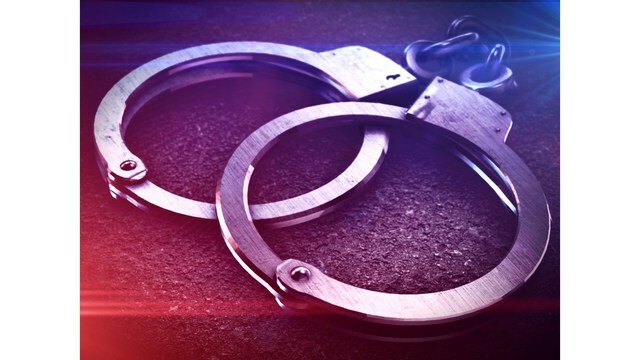 Those arrested were Robert Shane Brown, age 33, of Ohio; Augustin Rodriguez Moreno, age 42, of Texas; Rodney Calhoun, age 51, of Ohio; Joshua Tyler Hornsby, age 26, of Georgia; Charles Ronald Miskelley, Jr., of Alabama, and Karla Judith Becerra-Fouali, age 46, of Texas. All were charged with Contracting Without a License During a State of Emergency. Becerra-Fouali was charged with two counts related to two incidents. The CUFF taskforce will continue these operations.